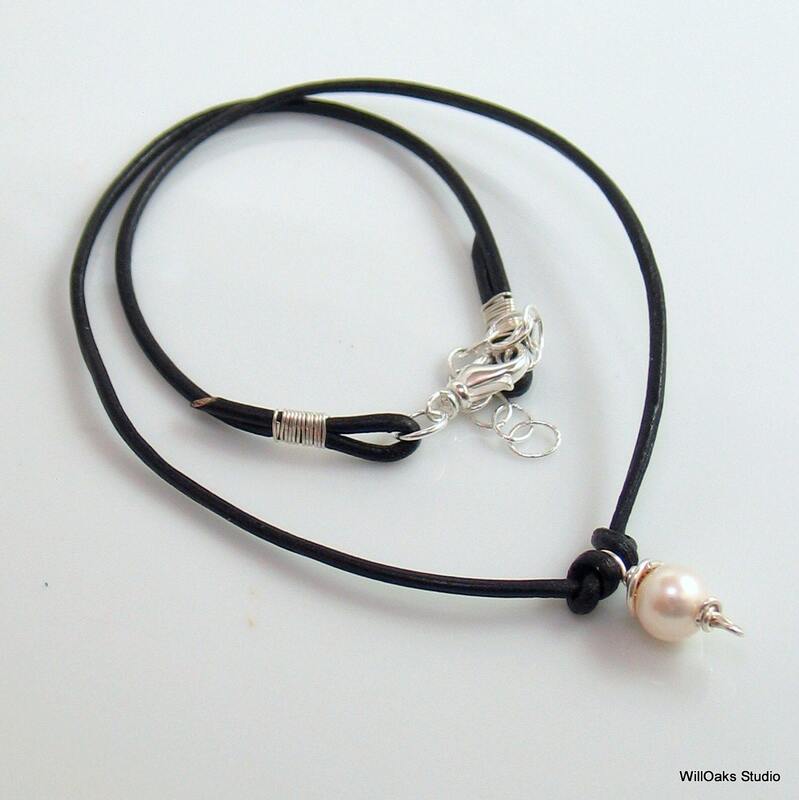 A black leather choker is knotted in the front to capture a handmade sterling silver and freshwater pearl charm. The dangle is about 5/8" long. 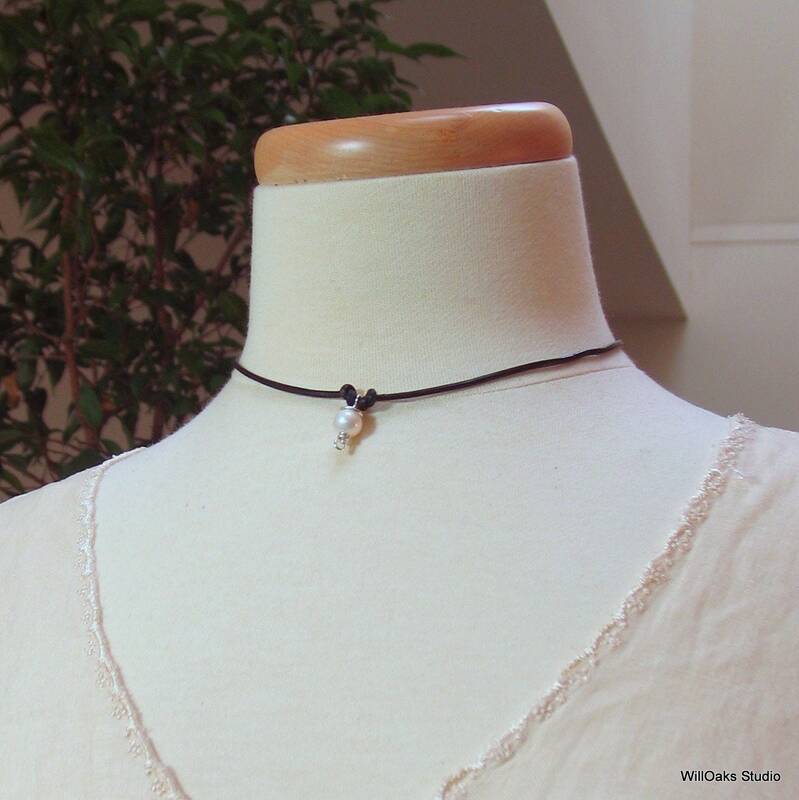 The leather choker is 15 1/4" and can extend to 17 1/4" with the silver plated brass swivel clasp and 2" extension chain. Comes to you coiled into my small signature velvet pouch, all ready to gift. 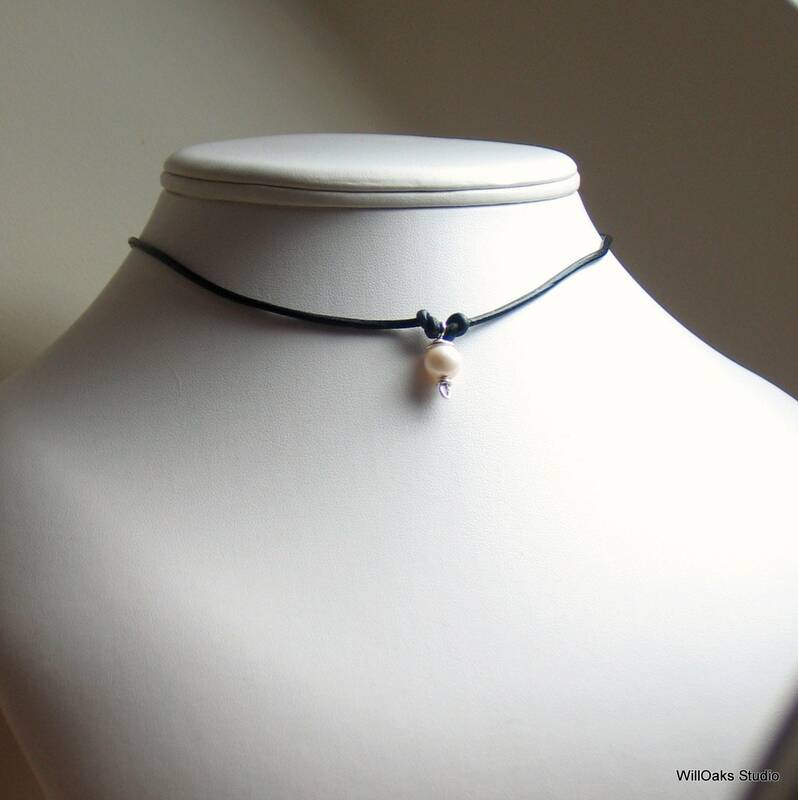 All freshwater pearls are natural so can have subtle variations. 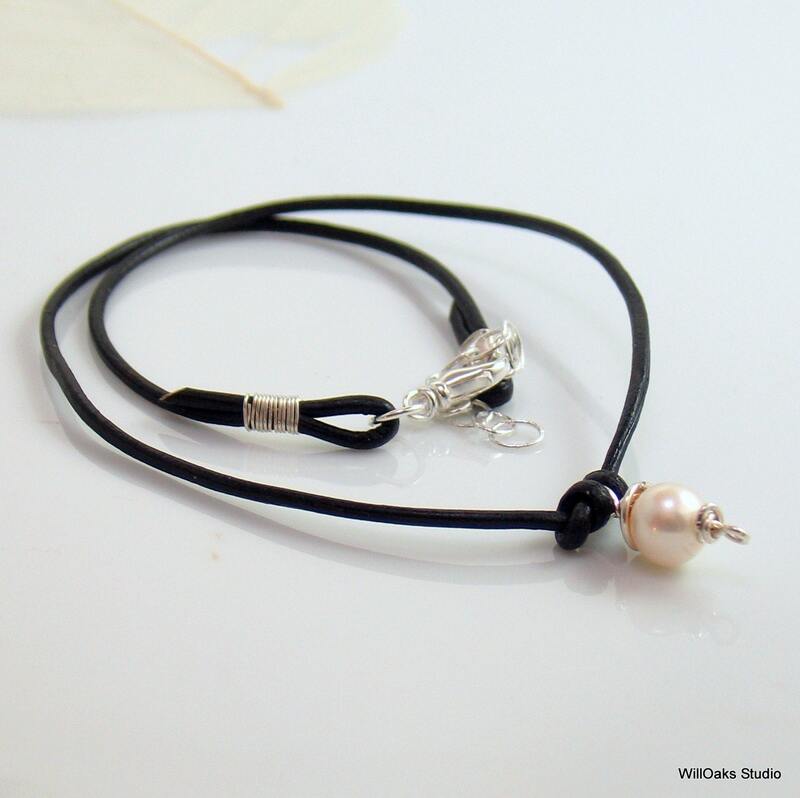 The sterling silver wire is hand formed and wrapped to hold the about 8 mm pearl. So easy to wear and you can wet the leather to get it to conform to your neck so it fits like a glove. Need it customized? 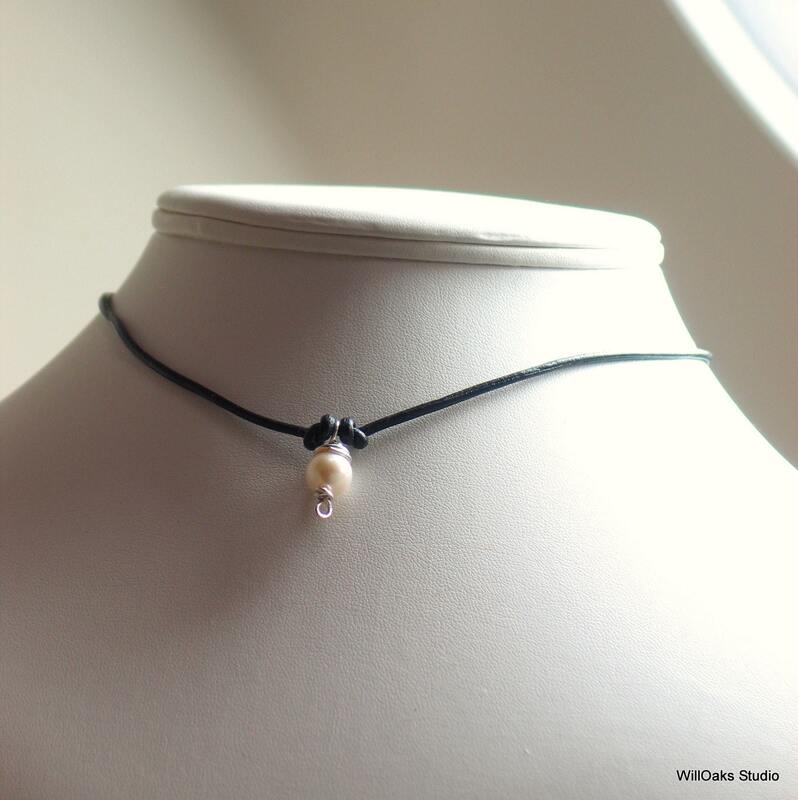 Please drop me a convo here on Etsy if you can't find the design and particulars that you're looking for-I can customize any my Pearl and leather jewelry with a nice collection of different colored leathers and length adjustments.